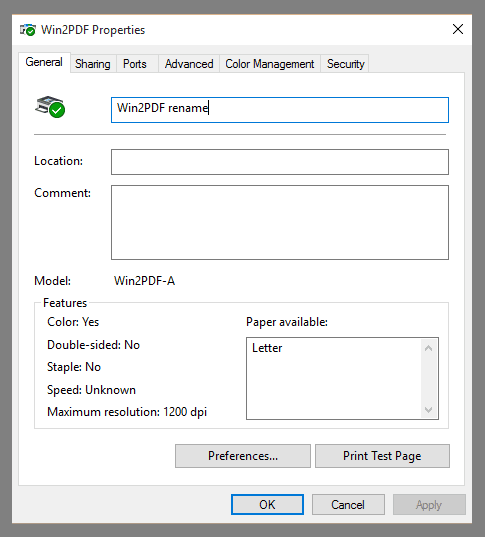 To rename a Win2PDF printer, open the "Printer Properties" Window from the "Devices and Printers" folder. Type the new printer name in the field at the top of the "Printer Properties" window, and click OK. When you rename a printer, any Win2PDF settings will be reset to their default values.